A card game is any game using playing cards as the primary things with which the game is played, be they traditional or game-specific. Countless card games exist, including families of related games (such as poker). Some games have formally standardized rules, while rules for others can vary by region, culture, and person. 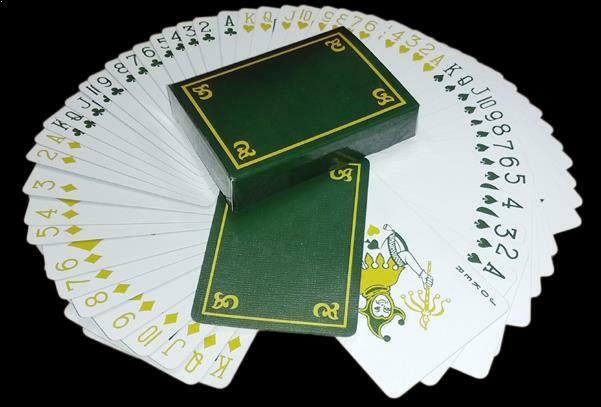 For example, a 32-card deck (a 54-card deck with no values 2-6) is known as a piquet deck and is used for many European card games including Belote, the most popular card game in France. A similar deck using German suits (leaves, hearts, bells and acorns) is used for the card game Skat, which is the national card game of Germany and also immensely popular (along with close relatives like Doppelkopf) in neighboring countries like Switzerland and Austria. TMCARDS offer a standard pack of 54 playing cards. This deck of 54 Playing Cards in suits of spades, clubs, diamonds and hearts are compatible for playing poker and other card games are designed to be printed on common business card stock. Playing card games with TMCARDS 54 Playing Cards is a great way for families to bond. One can pick these cards for the best traditional card games for families, including children 8 and up (and younger in some cases). All of these games can be played with a standard 54-card deck. TMCARDS aims at offering card games which is a great way for children to learn a variety of basic skills, including counting, taking turns, basic strategy, and being a good sport.